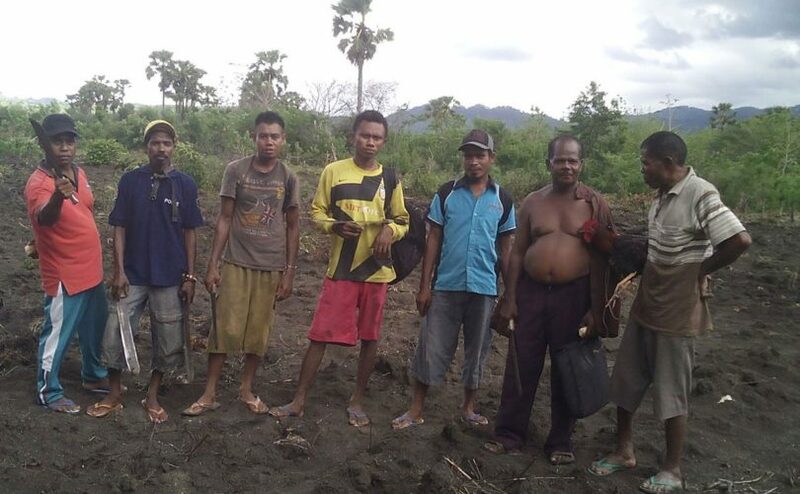 Picture of persons affected by leprosy preparing the land for farming in Lanaus village, in Nusa Tenggara Timur (NTT), Indonesia. Gospel music training for the youth in small churches, in the villages around Kefamenanu, Timor Tengah Utara (TTU), NTT, Indonesia. 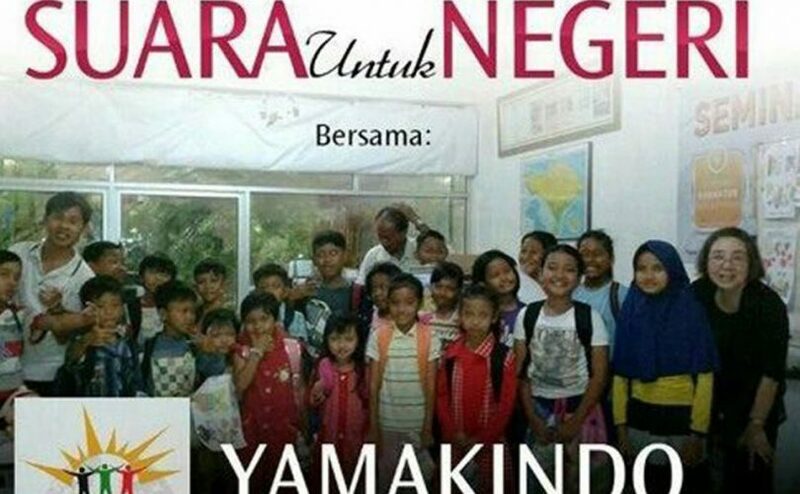 Yamakindo music instructor standing in the middle of the students, during last field visit. Picture was taken in front of our local office in TTU. 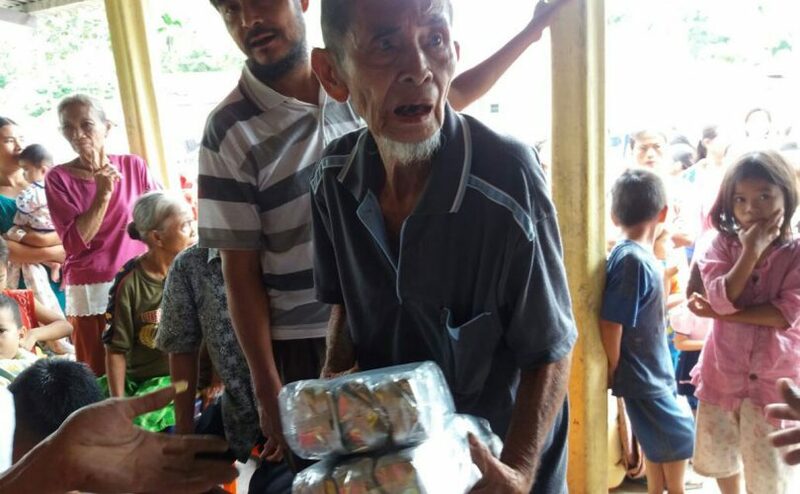 During the malnutrition program, Yamakindo, through the help of our Chairman of Founders Mr. Marinus Gea, distributed two tons of special nutritious food to children, families and elders, with the help of the village heads, in North Nias. 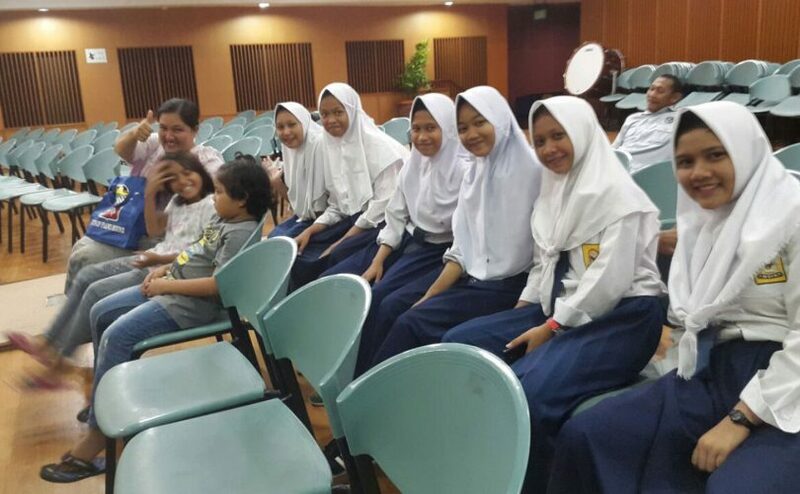 Yamakindo Youth have been trained for almost 4 months and are selected to perform in the Charity Concert MATA with UPH – Yamakindo – Bhakti Luhur. Yamakindo Child Icha gets an Indonesian Flag pinned on, before going to concert. Icha is 8 years old and the youngest member of the Concert group! she is child number 4 of 5 children. Her mother sells small foods along the street near the school and her father is collects plastics to sell. 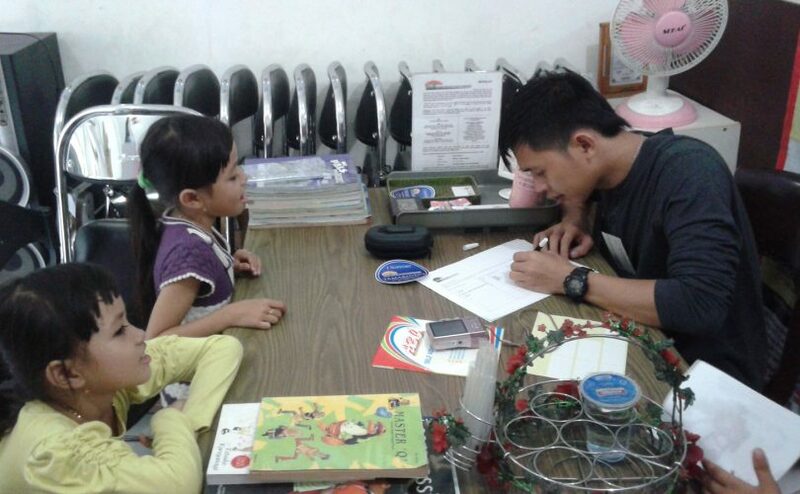 children being registered before the mini seminar and games start as part of our Character Building program. 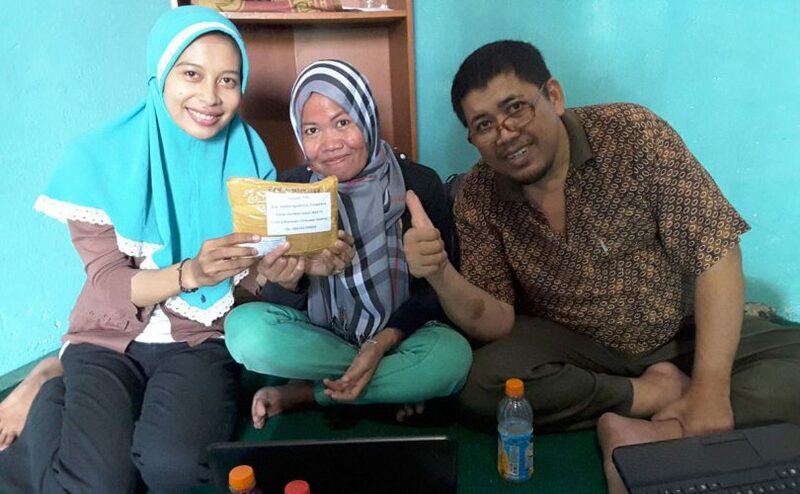 HKH Field volunteer, hands over the Red Spinach seeds as a support from Yamakindo for the farmers in Gowa, South Sulawesi. 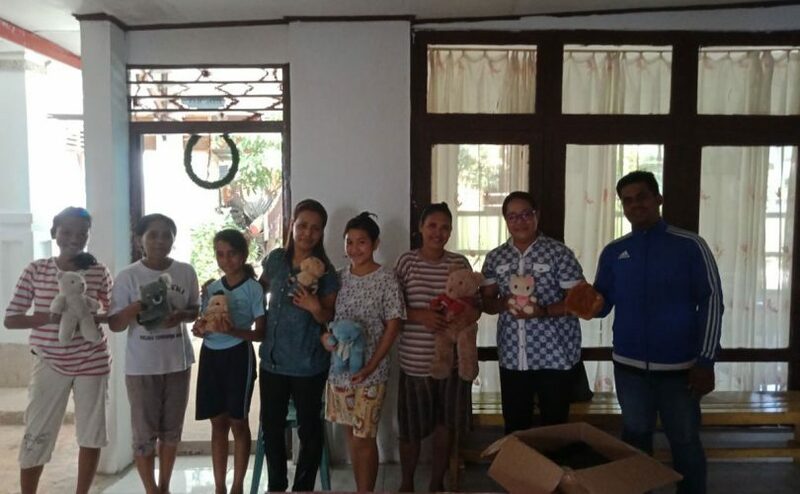 Distribution of toys and clothes to homeless Child & Youth in Ambon, bringing happiness.